The battle for capturing data trail of consumers is an intriguing one. Making the most of 1st party data is imperative for every retailer, but considering the prowess of 3rd party biggies and travel intermediaries, airlines have to ensure they are ready to serve their traffic in the best possible manner. Rather just relying on a handful of 3rd party sources for traffic, airlines have to collectively support fragmented distribution. In this context, the role of APIs in sustaining agility and leveraging one's own data is under scrutiny. "An API is just about moving data," mentioned Kevin O’Shaughnessy, CityHook, during one of Ai’s workshop in Long Beach, California recently. · First rule of setting up an API is focus on it internally (organizations can run better with their own APIs. This way they can capitalize on data from their business applications and act on it for particular needs), then limited public API and eventually privileged services. · API means clear boundaries and ease of reuse. · APIs should be easy for developers to comprehend. This means designing them with clear uniform resource identifiers and non-complex data structure. Traditional ways of selling are being challenged and displaced by ecosystem models in which organizations compete and collaborate across multiple fronts. Organizations are gearing up to push a B2B business line via API to penetrate the market faster and leverage on the economy of scale thanks to high volumes generated by partners. API connectivity isn’t new but airlines need to dig deeper while working on technical considerations and designing of APIs. 1. Open API: Airlines are working on open APIs, opening in all dimensions except the booking capability. Earlier there used to be concerns pertaining to unintentional impact of opening up APIs - the major one being the danger of losing out on owning the customer experience. But APIs are being designed with clear uniform resource identifiers and non-complex data structure. At the end of the day, airlines can overcome limited number of coders within their setup and can leverage the prowess of APIs in engaging with 3rd party sites at their discretion. An established carrier, in an interview with Ai, acknowledged that their open API could be used in several foreign markets including China, except the booking capability (which is being only trialed in a certain market). This restricted approach in China, for instance not introducing booking capability via open API isn’t surprising considering the hurdles - there is a language barrier, a broad domestic ecosystem of potential API users that follow different approaches when developing digital platforms and end-consumers with China-specific consumption characteristics. “Although travel is a global game, we do not believe in simply extending existing offerings made in our local market, but in thoughtful tailoring to the local needs with our distribution colleagues that have a substantial knowledge of this important market,” shared a senior executive working with the same airline. 2. UI-level API: There is an opportunity to boost the conversion rate via user interface (UI) level API. Specialists recommend offering a combination of both XML or server side request and UI widget. This means full UI all the way down through the technology stack is provided. The reason: when the UI and code associated with it enables one to continuously optimize the business and improve upon the attach rate along with the revenue metrics for that business which can be airline or any B2B partner that is taking the booking from travellers. In case, airlines use their own UI and only use B2B partner’s API, the partner may not able to influence the optimization of that UI. 3. 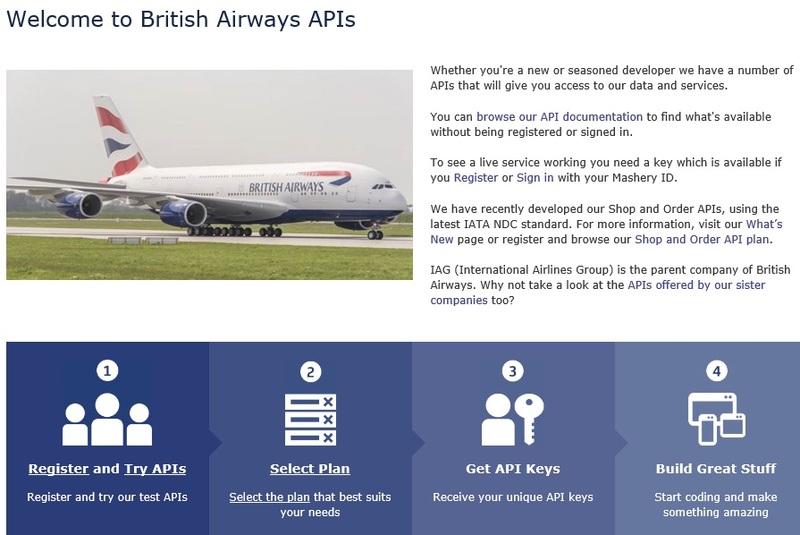 Supporting APIs with data processing: As for those airlines trying to support distribution via their own APIs, one shouldn’t underestimate what it takes to adopt and execute on a strategy of NDC API distribution. They need to sharpen their data processing capabilities in order to process in real-time the potentially huge volumes of valuable search data from NDC APIs. Airlines need to collect and process the recent search data across all their channels. They also need to have appropriate skills to analyze this data by market segment, formulate offers, set pricing and then adjust booking engine rules to deliver this at point of search. This has to be a continuous process of set the rules, analyze the outcome and adjust. In a NDC world this becomes dynamic. Hear from senior industry executives about the role of APIs at this year’s Ancillary Merchandising Conference, scheduled to take place in London, UK (9-11 April, 2019).